Poteau had its origin in 1885, with a few houses and Bud Tate's general store. Poteau, a French word for "post," is located on the banks of the river bearing its name. Incorporation of Poteau occurred in 1898. That same year the first public building was constructed. The federal court was moved to Poteau from Cameron in 1900. By 1903 the Kansas City Southern and Frisco railroads were both running through town. In 1908 Governor C.N. Haskell issued a proclamation declaring Poteau to be "a city of the first class." This county has 220,000 acres of Ouachita National Forest open year round to the public for hunting, camping, horseback riding and hiking. There are 136 miles of marked hiking trails. Over 60% of the land area in LeFlore County is covered by mountains and forest. 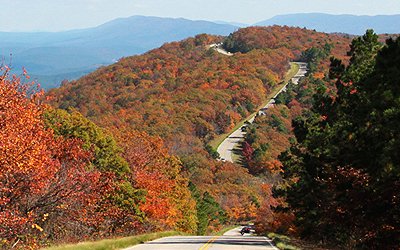 The Kiamichi Mountains encompass much of the rugged terrain in southeastern Oklahoma. These mountains are considerably higher than the Ozark Mountains of Arkansas having the highest peaks of any mountains between the Great Smokies to the Rockies. Local festivals include the Spring Fling,Balloonfest, the LeFlore County Fair and the Fall Festival. For over half a century the popular Poteau Frontier Rodeo, a PRCA sanctioned rodeo, has featured top cowhands throughout the United States testing their skills on the best stock in the country. The Kerr Museum is housed on the grounds of the natural history of the area. It includes Indian artifacts, material dealing with the famous runestones, artifacts from the Spiro Mound complex and articles used by Oklahoma and western pioneers in the building of the Indian Territory and the Old West. The museum contains a collection of more than 300 types of barbed wire. LeFlore County places prime importance on education. It is served by numerous grade schools and 9 high schools. Poteau also offers Carl Albert State College and the Kiamichi Area Vo-Tech School. LeFlore County boasts an outstanding 84-bed hospital with an ICU unit and lifeline flights. Many area towns also have their own clinics. Numerous area lakes and streams provide boating, fishing, sailing and water sports opportunities. Hunting for deer, turkey, quail, rabbit, squirrel and other game is also a popular activity. Eastern Oklahoma has a large population of horses and folks who love to ride. Horse events range from traditional rodeos, jackpots and play days to national breed shows. Thoroughbred and quarter horse racing can be enjoyed at Blue Ribbon Downs. The 1.5-million acre Ouachita National Forest provides thousands of miles of forest trails for horseback riding and hunting. 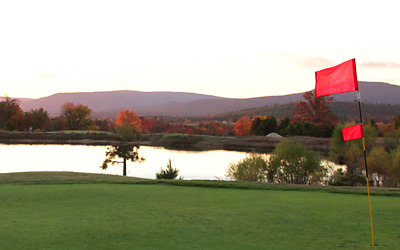 Poteau also provides 2 golf courses. Poteau and LeFlore County have a lot to offer to new and old residents alike. Come on by our United Country office soon and let us show you some of the many properties we have for sale.